Central Square Shopping Centre is housed on three levels: ground, first floor and second floor. 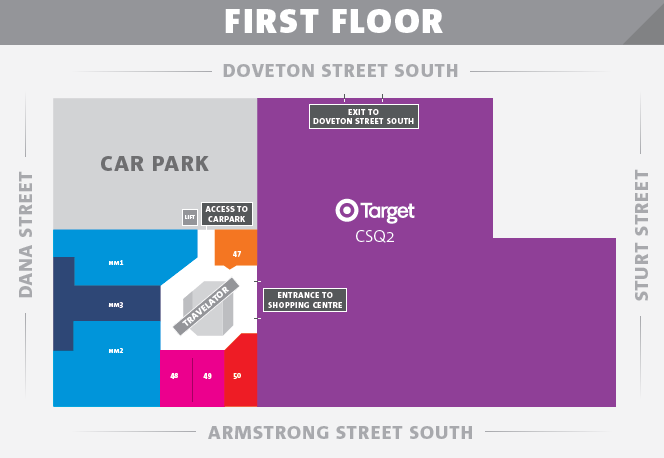 Each floor is accessible via moving travelators providing easy access to all stores. For customers with wheelchairs, mobility scooters, walkers and prams, it is recommended that you use the lift in the car park to access each floor. Carepark Multi Storey carpark is conveniently located next door to the centre with entry via Dana Street. Parking is free for the first two hours. In an effort to make your visit a pleasant and easy one, Central Square Shopping Centre provides a wide range of customer services to assist you in every way. Customer facilities include free wheelchair hire and a lost property department. 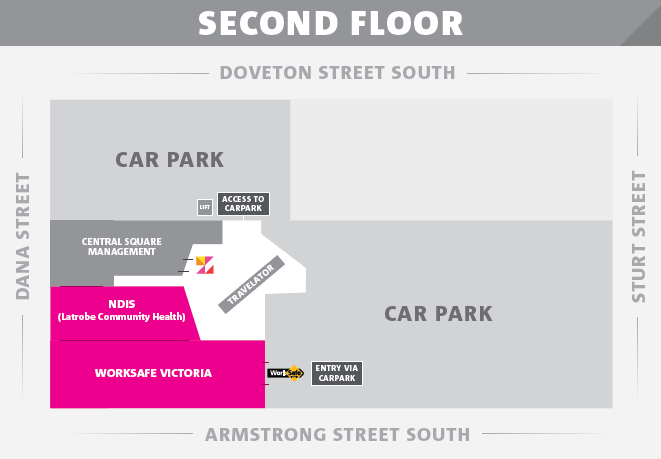 There is designated parking for customers with a disability parking permit in Carepark and on surrounding streets, Doveton Street and Armstrong Street Sth. There are two parents’ rooms in the centre. 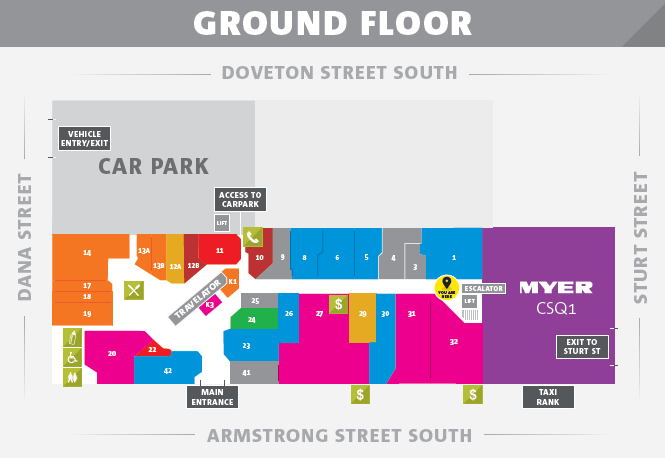 One is located on the ground floor near the food court and the other is located in Myer (second floor). CarePark offers designated parking for parents with prams. Centre management is open during business hours. The centre management office is located on level 2. Product launches and demonstrations & sampling. Lead generation & brand awareness campaigns. Services marketing – and service/product displays. Education marketing and fund raising. We have in excess of five mall sites both powered and un-powered and on occasions stores available. Visit specialtymallleasing to learn about our specialty mall leasing sites, their availability, pricing and the procedures to utilize these for your business. For information on how we can assist your organisation / group, please contact Centre Management.